And everything in its place. I heard this saying a lot growing up, and I was always like yeah, yeah… that’s a good idea, but help me find what I’m looking for now. We’ll make a place later. I’m not always the most organized person, but It’s getting better. I’ve only asked the hubby once this week if he’s seen my phone, and I’m amazed that I haven’t gone searching for my keys at all this month. Thats a miracle! So now that we’re a little more settled into the new place, and I have some time since I haven’t found a job yet (pray that I find one soon), I’ve been working on giving everything a place and putting it back there when I’m done. This week I worked on garden stuff and cookbooks (honestly this likely happened because it’s just too hot to crochet). So this was my gardening bag. As you can see, everything was just thrown in there. 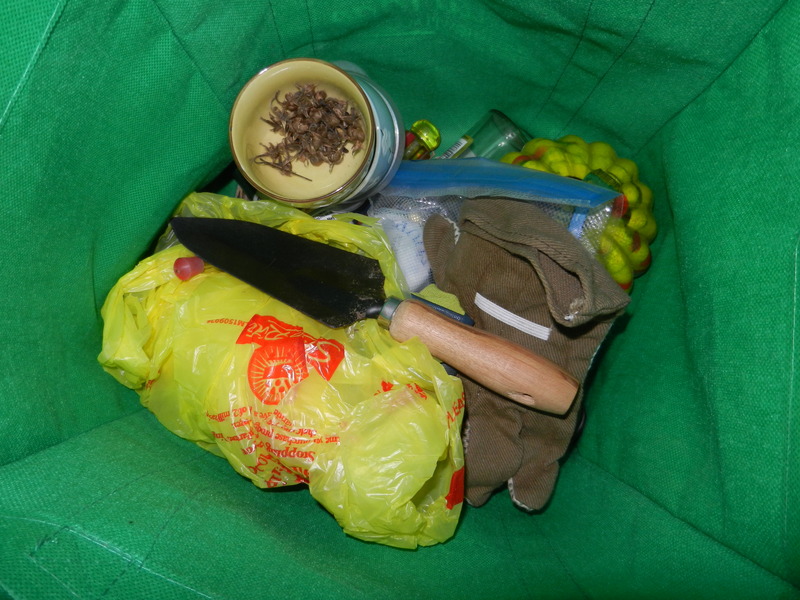 Tools, gloves, seeds, humming bird feeders, and a random bag of plastic thingys (I’m sure they belong to something). First I organized my seeds. 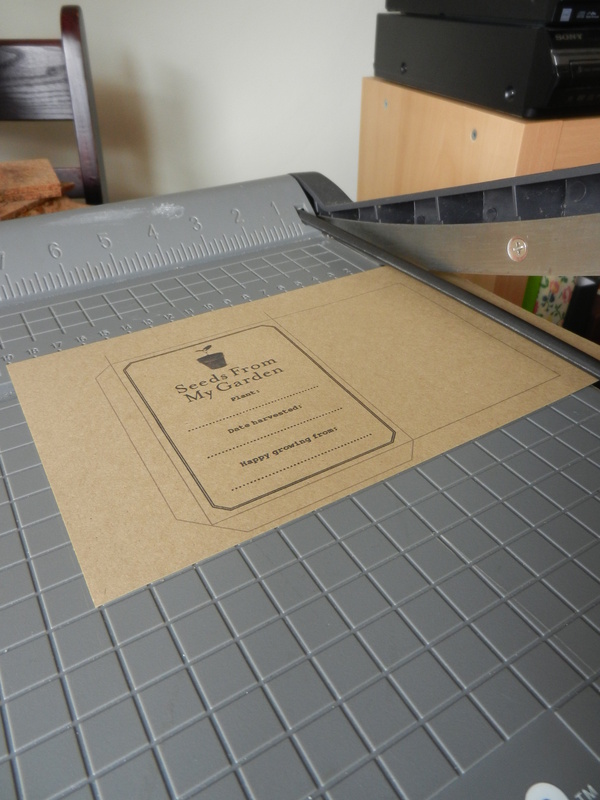 I found this free printable and made my own seed packets. I love how they came out on the kraft paper. I also made two different sizes, most of the seeds i keep are pretty tiny, but those marigold seeds needed a bit more space. I also really liked this printable, maybe I’ll use this one if I collect more seeds this year. Then I stored all the seeds from my garden and the store bought ones in a mason jar ( I love mason jars). 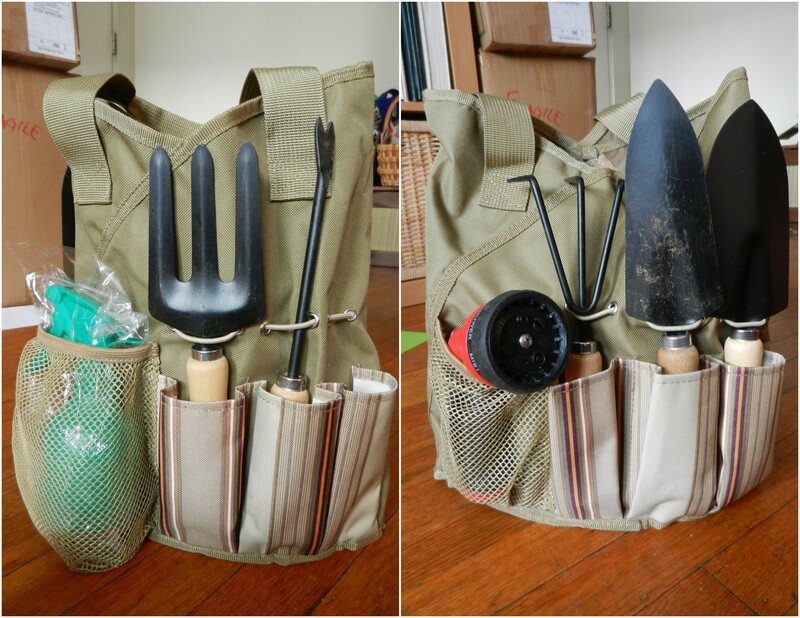 I put all the tools back in their original bag ( which was stored away with the winter hats and gloves…makes perfect sense, right!?) 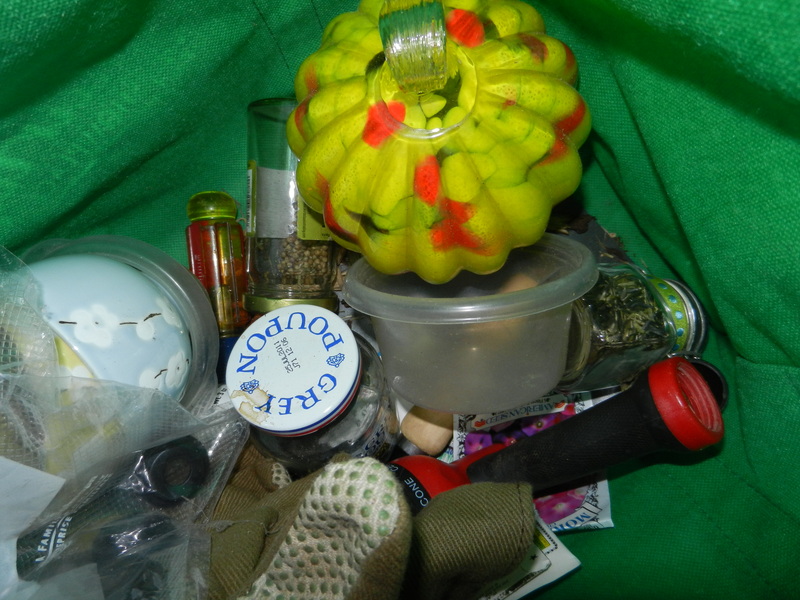 and stored the gloves and seeds inside that bag. The humming bird feeders went on one side of the green bag and the bag of tool on the other, and now it has a nice spot on the storage shelf. Now when i want something its easy to access and i’m not spilling seeds everywhere! Now my cookbooks have always had a home. They usually get a shelf all to themselves somewhere in the kitchen. The problem was I had one spiral bound book that was falling apart, you had to be really careful when turning pages or chunks of it would just come off the spiral…super annoying. And then I had a bunch of recipes that were printed off the internet or given to me by friends, that were just randomly shoved into other cookbooks…chaos I know. Plus there were a bunch of recipes that i’ve pinned and love using, but never printed because I didn’t want to add to the chaos, but I really don’t enjoy using my phone or computer in the kitchen…i can be a messy chef, I don’t want my phone covered in flour and chicken guts, GROSS! So my solution is to make a new recipe binder. 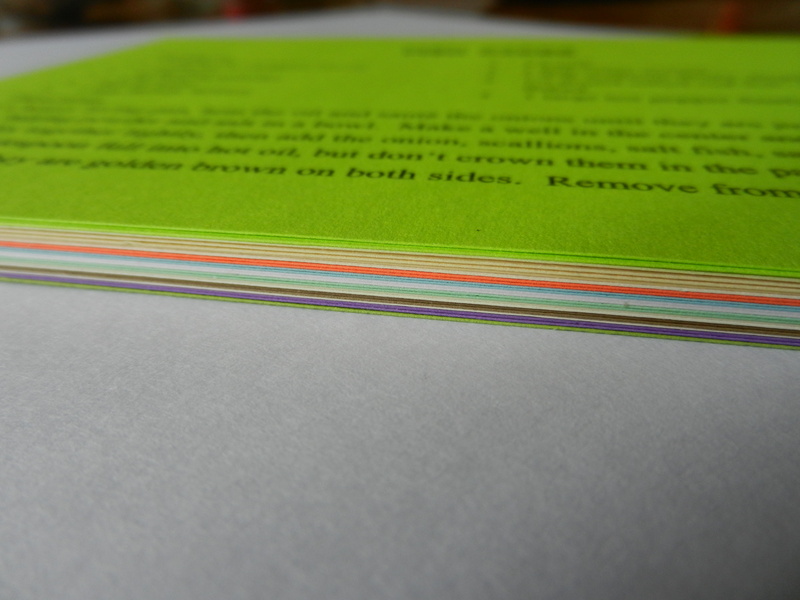 All the recipes from the spiral book (mostly family and friend recipes) I typed into the computer and printed on 5×7 cards. Thankfully I just had to copy and paste all the internet recipes. 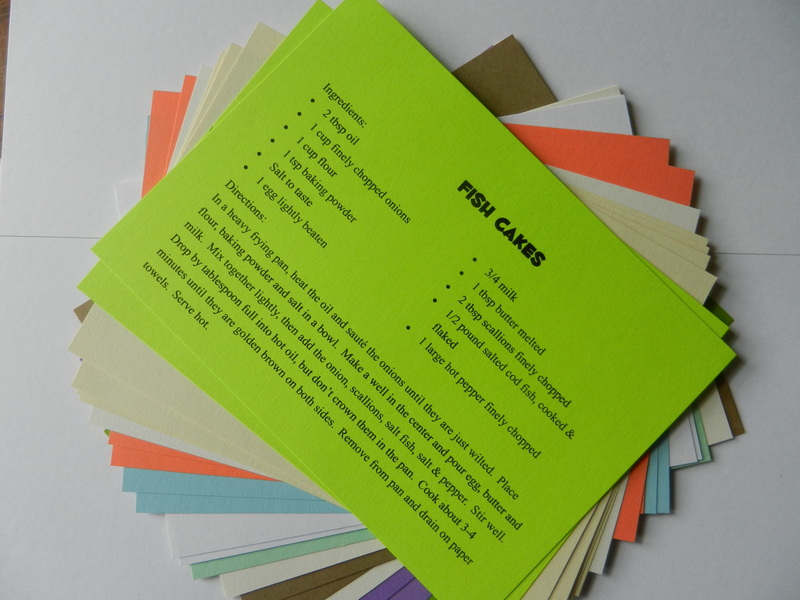 I think I’ll also gather all my favorite recipes from the other cookbooks I have and print them onto cards as well. I tend to stick to the usual when it comes to cooking and forget that there are some great recipes that we LOVE in those other books, so if they’re all in the same place I’ll be more likely to remember to make them…at least thats my hope. I ordered some page protectors that hold 5×7 cards and in fit a 3 ring binder. I cannot wait for them to get here. 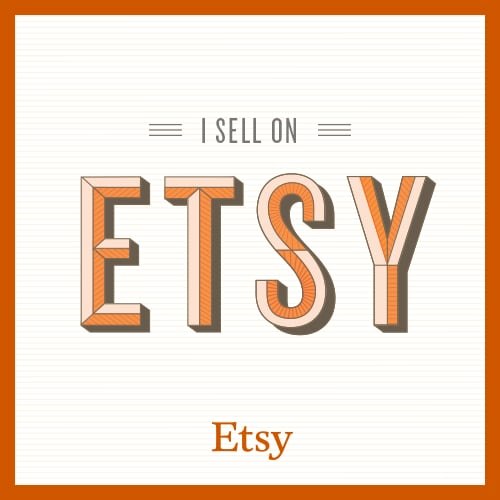 I have a nice stack of cards just waiting for their new home. I’ll be sure to post pics when it’s complete. 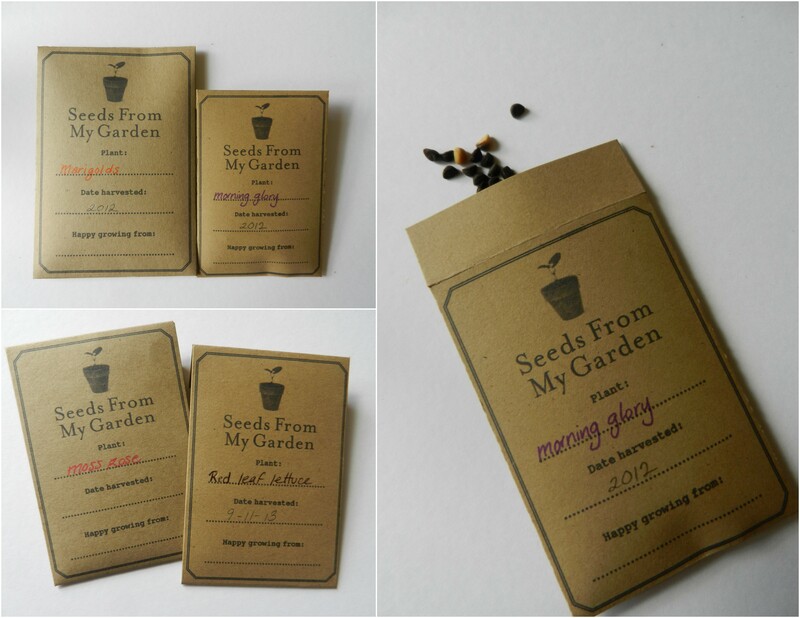 super cool seed packets. 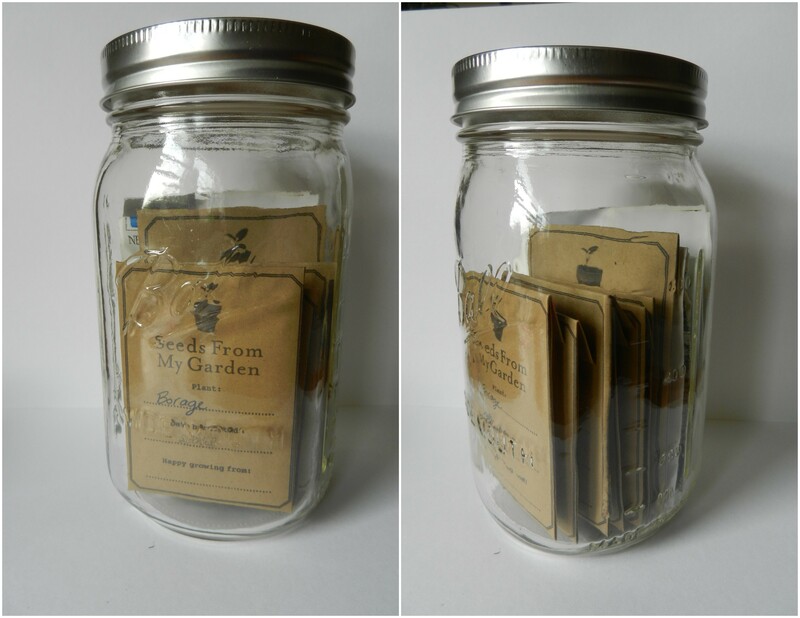 I use tea tins and mason jars, but the packets are great. Thanks for sharing. Very orginized! Love the seed packs. Did you make them?